To make things easier if you were thinking of visiting the Olympiastadion and watching a game I have provided a pdf of the Hertha home games for the 2018/19 season. I will include the exact times and dates of matches as and when they are released by the DFL. This year’s basic schedule was released on June 29th at 12:00 CET. So far we only have the exact dates and times for the first fourteen games plus the final two games (12/09/2018). Another batch of fixtures were released on 07/11/18 taking us up to match day 21. ​Especially if you are coming from outside the city please check on the Hertha and/or Bundesliga sites for dates before committing to flights and or accommodation because, try as I may, changes may happen and mistakes can be made so my list cannot be guaranteed. For city break visitors to Berlin you need to either book late enough to know the exact date or, take a longer trip and arrive Friday morning and go back on Tuesday morning. Hopefully this is not too much of a problem, lets be honest here, Berlin is a fabulous city, you should not have to struggle too hard to keep yourself entertained for the other two days! It is worth pointing out the are pretty big bag restrictions going into the Olympiastadion and it would be wise to go with as little as you can and ideally just the clothes you are standing in. If you have to take a bag with you make sure you checkout the restrictions. 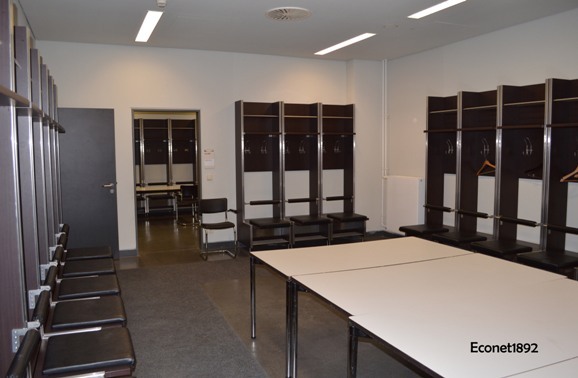 They do not appear to be stated on the English language version of the Hertha website but you get the idea from the picture to the right. If you click on the picture the website page will open in a new window. You often see people asking “when I go to watch Hertha play where should I get seats”. This is really not a clear cut question to answer as prices vary from 15 Euros to 96 Euros depending which match it is and where you choose to sit. Pretty obviously a significant factor in most people’s choice will be the price. The other important factor is what view of the game and/or experience of the atmosphere you are looking for. How much you want to spend I’ll leave up to you but I’ll try to give a few pointers about my opinions on where to sit. 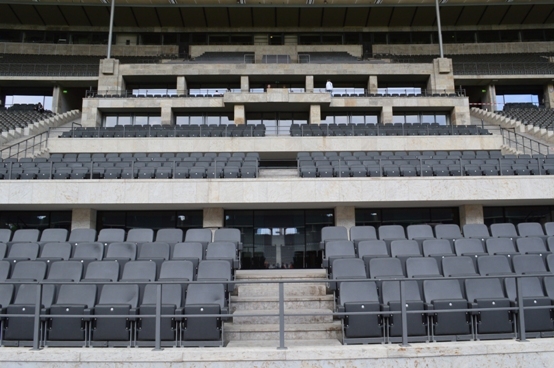 The away fans are placed in the block to the south of the Marathontor (the gap) an opposite the Ostkurve. In my opinion visiting Hertha fans are better to at least try to get tickets in the eastern side of the stadium towards the Osttor. A lot is said on the Internet about the fantastic atmosphere generated in the Ostkurve and every bit of it is true. The ultras put so much effort into the support of the team with the singing and chanting that forms the heart of the atmosphere. The tickets for the Ostkurve itself however are mostly, if not completely, season tickets and at the very best hard to come by. If being as close as possible to the heart of the support is key then block P or blocks 34 to 41 may be for you. 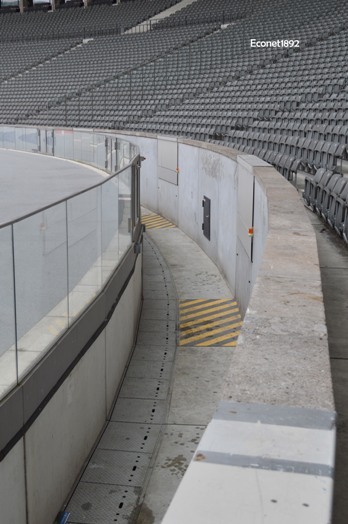 You have to bear in mind however in blocks 34 to 41 in particular, although you are high up you are a long way from the pitch with both the running track and the area behind the goal between you and the football action. Naturally the best view of the match itself can be obtained in the upper tier and as close to the middle as possible. Equally naturally, this comes at a cost. As a compromise blocks 1 to 3 and 31 to 33 give a better view of the game and are still “in contact” with the Ostkurve. Blocks 4/5 and 29/30 on the other hand offer an even better view of the game and yet you can still see, hear and to some extent at least feel part of the atmosphere radiating from the Ostkurve. In my humble opinion these areas provide the best option although this is just that, my opinion. 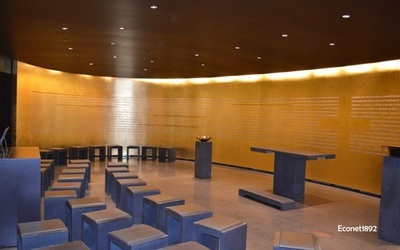 Beyond this, visitors can look at the Hertha website and study the seating plan with the 3D viewer before making their own decisions based on their own priorities. You also sometimes see on the Internet people talking about the empty seats and Hertha not being able to fill their stadium. Although perhaps I am a little biased much of what is said is utter tosh in my opinion. Having said that, there are some grains of truth to what these pundits say. 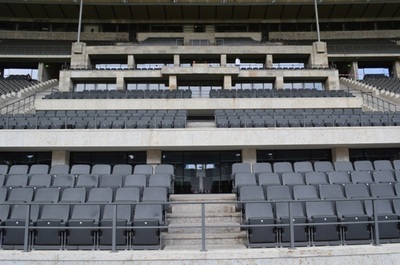 Although there are often some empty seats this is mostly because of a combination of the sheer size of the stadium and the unique history of the city. This is not to say there is a lack of support as the ground regularly now entertains 45-50,000 vocal supporters and is a solid mid table (and rising) in terms of the numbers of supporters. 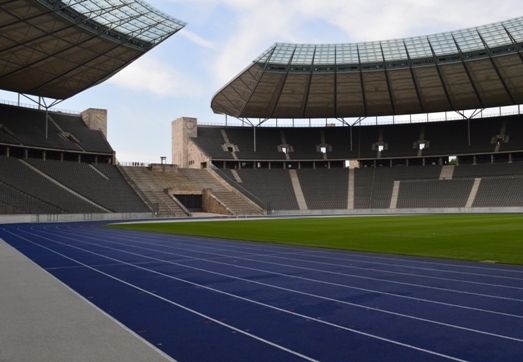 To get to the Olympiastadion you can take either the S-Bahn or the U-Bahn (U2 to Ruhleben) and arrive really close to the stadium. The S-Bahn in particular is right next to the ground with one exit leading to the stadium South Gate and the other end of the platform exiting towards the East Gate. Both gates have places to buy a beer and a sausage before you go through the turn styles if you feel the need although a lot of people bring a bottle or two with them to drink outside. It is far cheaper to buy the beer in a supermarket and bring it along rather than buying it on site but you may not want to carry it around. There is a bar just down the hill from the "South Gate" - Preußisches Landwirtshaus that you could check out before the game if you prefer a seat. ​The video clip below shows approaching the East Gate (Ostkurve/Fanshop end) from the Olympiastadion light railway station. A short walk as you can see. ​The second video clip below shows approaching the East Gate this time walking in from the East away from the Neu-Westend underground station. If you haven’t already got your Hertha scarf there are stalls selling “unofficial” scarves, t-shirts badges etc as well as official Hertha caravans selling official merchandise. Once you are through the turn styles you can go to the official Hertha Fan Shop in behind the Ostkurve. Also, a visit to the fan shop before the game has the added advantage of the exit leading out to the Ostkurve so you can admire the view from above where the Hertha faithful stand during home matches. As a bonus I have also included the dates and times of the Hertha U23 home games that visitors to Berlin may be interested in as the U23's are often playing at home on the same weekends as the full team. The U23s play in the fourth tier in Germany - the Regionalliga Nordost. I think the entrance fee is about 8.00EUR although I am not certain about that. Once you have a ticket you walk into the Olympic park (you may well be "frisked") as you go in. You just follow the road as it bends around to the right. Once at the stadium you sit where you like. I like standing at the back or sometimes down right at the front next to the touchline - but that's just me! You may not be interested in the lower league football but as I have already said, Berlin is an amazing city with so much to see and do you'll keep yourself entertained for the other two days without any trouble at all! Once you've been there you will want to return again and again. When the Olympiastadion is not being used by Hertha, an athletics event or for a concert visitors are able to do a tour of the building. It is a magnificent building and in my opinion one of the greatest stadia in the world. 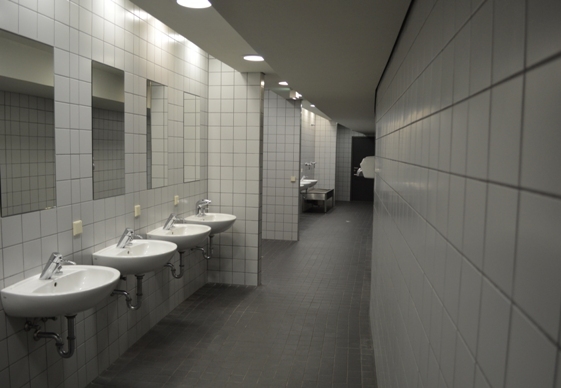 There are larger ones and newer ones but not with the depth of character held by the Olympiastadion in Berlin. The building itself goes back to 1934 and beyond. Much of the architectural style is rooted in the Nazi era taste and aimed to please the leadership of the dictatorship that had just come into power. Do not let this fact turn you against the building itself. Its simple powerful lines hark back to classical times as was the fashion in those early days of the modern Olympics. It is almost impossible to not draw parallels with the Colosseum in Rome despite the modernisations added for the 2006 World Cup. 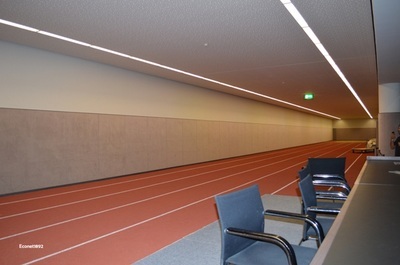 From a Hertha fans perspective it is fascinating to see the changing rooms, hot tubs, VIP seats and being able to walk out of the "tunnel" to the edge of the running track. This is all well worth 7EUR of anyone's money! I've out up a few photos of what you can see whilst looking around. I will put a few more up when I have time. 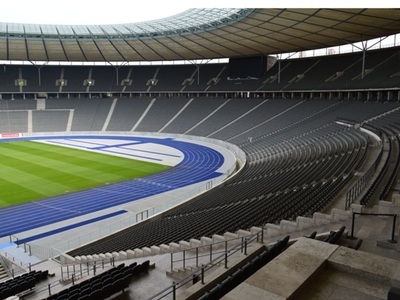 Tickets purchased over the Internet via the Hertha BSC online ticket shop can easily be collected from the "Will Call" by the stadium Osttor near the Olympic rings (to the right as you face the stadium). You will need to take some form of ID (passport) and the invoice number from the purchase. A printout from the online purchase should do the trick. 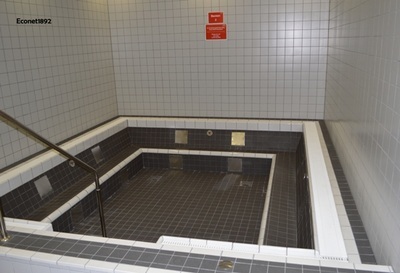 - Hauptbahnhof Berlin, Europaplatz 1, 10557 Berlin ((lowest floor before you get to the mainline platforms). The staff selling the tickets speak English if that is a problem for you and have always been very helpful when I have been in either store. It is also worth remembering that the Hertha match tickets include travel on Trams, U-Bahn and S-Bahn throughout the city on match day. One advantage of buying your Hertha tickets at one of the fanshops before the match day is that don’t have to pay for transport to get to the game. Hey it only saves a few Euros but a few Euros buys a lot of beer in Berlin! One thing that's happened back in August 2013 is that the Olympiastadion has introduced a cash free payment system for the kiosks around the stadium. The cards (one illustrated here) can be used to buy snacks, beer, stadium punch etc from the many kiosks around the ground. By the start of the 2015/16 season it appears to can pay with cash as well which is much better for visiting fans. Although I use my season ticket now I originally got a "Just Pay" card from one of the girls that were registering them inside the ground on the first match of the 2013/14 season. You hand over your 10EUR and it gets charged to the card and they hand it over - job done. You buy stuff with the credit on the card and deposits for the mugs/glasses get charged back onto the card when you take them back. You use it like an Oyster card for those familiar with that system. ​Please Note: In May 2017 it appears that the company running the system (Berlin - Payments Solution AG) said the cards are no longer valid. Presumably, in the short term at least it will be cash only at the Olympiastadion.